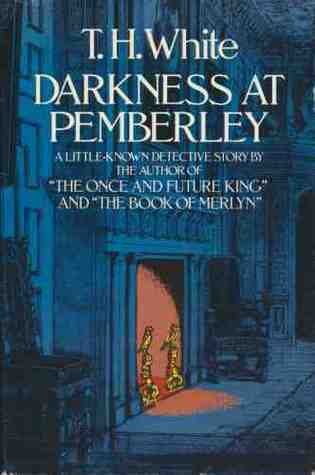 T H White’s Darkness at Pemberley, from the Why I Really Like This Book podcast scripts catch-up, is the second of his two detective novels. Neither did particularly well. He is most famous for The Sword in the Stone in 1938, which he rewrote and expanded into the tetralogy The Once and Future King. Disney made its most charming cartoon from this novel, and Hollywood made the really peculiar 1960s musical Camelot from it, all Technicolor medieval fantasy, so by the end of his life White had become most famous for King Arthur. Much more recently Helen Macdonald’s H is for Hawk brought White’s work on falconry, The Goshawk (1951) back to public consciousness, but hardly anyone remembers that White began his career by writing about killing. Darkness at Pemberley (1932) has more than one death, and the murderer is revealed early on. In fact the murderer revels in his own cleverness, insisting on telling his accuser all the details so we can relive every detail of the first murders. This is all well and good, but it leaves us with a distinct impression that White, too, is enjoying his own cleverness. He’s terribly knowing, all the way through this book: he sends up all the detective story conventions in the first chapter, and is rude about the traditionally brilliant maverick detective of the Lord Peter Wimsey kind. But in place of the conventions, we get an excellent story, a fiendish plot, and a brilliant, not a whodunit, but a howdunit. All the reader wants to know is when the murder will strike next, and how he will achieve the next death. It is not an easy wait. The story starts in Cambridge, at a college where a don is murdered. We, and Inspector Buller, spend a lot of time wondering about how things were achieved, and which of the many clues laid out so invitingly are the details that matter. After the murderer’s gloating revelations, Buller goes off to stay with friends in the country, thoroughly depressed about the Cambridge case because he can’t see any way to getting an arrest, and he’s nervous about the murderer still being at large. Who wouldn’t be? This murderer is as animal-like and vicious as any psychopath, and now he has tasted blood. I’m not giving anything away by saying ‘he’, because there aren’t many women in the story, and only one heroine, with whom the Inspector is in love, so she is a natural target for the murderer’s dripping hands. Buller tells his friends Charles and Elizabeth about the case. He is terrified and appalled when Charles, a rather desperate but very honourable character, goes off for the day, and returns to say that he has visited the murderer to tell him that he, Charles, was so outraged at his crime that he, Charles, will kill him, the murderer, within the week. Buller knows that the murderer will take this as a most delicious challenge, and now all hell will break loose. White gives us a little of the back story at this point to help us understand why Charles feels so suicidal, and now we can see a hideous panorama of threat and uncertainty unfolding in the plot. Buller is visiting Charles and Elizabeth at Pemberley, their country estate, and there aren’t many servants left to help protect the family from attack. That very afternoon, a tile crashes off the roof and nearly hits Charles’ head. The assault has begun, and continues for the remaining two-thirds of the book. Why is this novel so good? It is brilliantly engaging: we are drawn in by the intimacy of the author’s voice, and the precision of the detail. Buller is a very endearing policeman hero: Charles and Elizabeth are quixotic, aristocratic and charming. Dr Wilder, the faithful friend and useful police surgeon, keeps all their feet on the ground and is rude enough to Buller to stop him becoming a nuisance in his worry for Elizabeth. The setting is also fascinating: it’s the Jazz Age but the characters are from a traditional English country house party. Fast cars are very important, and we learn a great deal about the roads of Derbyshire and the Welsh borders. Our frustration from the characters having to rely on leaving messages for each other from public telephones is something that readers have only experienced in the last 15 years: before that, public telephones were the only way for amateur detectives to stay in touch with a manhunt, and we took them for granted. So much necessary tension has been lost from modern detective fiction by the mobile phone. Behind all that, we have Pemberley itself, the great estate familiar as a name from Pride and Prejudice. White does absolutely nothing with the Austen connection, apart from one brief mention of the ‘famous Elizabeth who came into the family in 1813’. But he used Pemberley for a very good reason as his novel’s setting. Jane Austen never once described it in detail, but we are left with the understanding that it is the home of a rich family, a good master, a loving brother and (we hope) husband; it has status in the neighbourhood and its tenants are proud of it. In Darkness at Pemberley, the darkness is not brought in by Buller’s horrible Cambridge murderer; it already existed in the terrible and tragic story of why Charles is a widower with a prison record, and why there are so few servants. I love Buller, a perfect 1930s detective who turns into a physical action hero with a secret weapon. He’s the son of a butcher, but is the friend and equal of the higher gentry, despite his worries about whether a policeman can marry a lady. (Dorothy L Sayers had dealt with this point of etiquette decisively, in her Clouds of Witness only a year earlier.) Buller is a good rider, and he loves Elizabeth because she does not ride astride, despite being the ‘natural champion of the divided skirt’. White was a little confused about his own sexuality, which led to some messy situations in his later years, but in the 1930s, in his twenties, he wrote about women as a strange species of animal one had to study but not necessarily touch. But White clearly loves Elizabeth, she is a most attractive and three-dimensional character. Charles is less clearly drawn. Buller is the book’s authority on moral questions, and is a finely trained policeman. He knows instinctively one’s gentlemanly morality over when one can, must and should kill a man. He also plays a delicate game of honour oneupmanship with Elizabeth, each of them being terrified that the other will be harmed in the house, and trying to send each other out of danger by using honour as a lever. Buller wins by asking Elizabeth to be brave enough to go off to keep the maids from interfering: she is furious at his underhand tactics but her honour will not allow her to disobey. 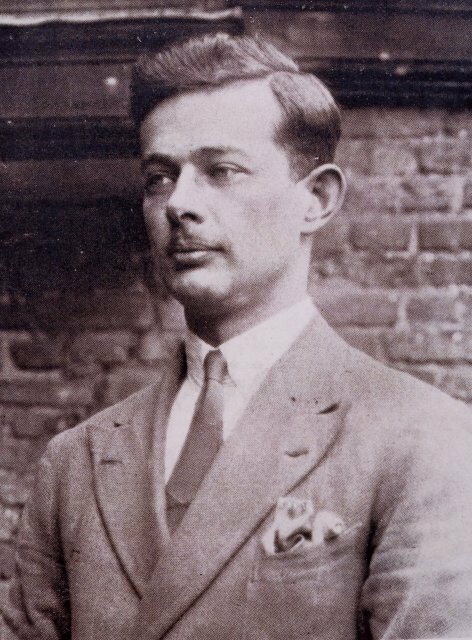 Charles too is manipulated by Buller for his own safety: his archaic ideals of a gentleman’s honour simply become dangerous when there is a feral murdering animal on the loose. White’s fascination with the animal aspect of murder, and nature’s way of dealing death, is a fairly steady constant in all his fiction and much of his non-fiction. I think that only one of his books, Farewell Victoria, the novel he wrote after Darkness at Pemberley, is not about killing at all. He’d worked it out of his system with his detective fiction, but only for a little. The Sword in the Stone, the next novel, renews the philosophical challenge of how a man of honour should conduct a fight to the death, over whether might is right. Buller and Charles are not Merlin and Arthur, but they are all fighting the same battles.